Hello everyone! Today I've got a rant for you. Don't bother reading the text unless you want to hear me complain about water marbling. EDIT: This is not meant to discourage anyone from trying out a marble! Some people have no trouble at all with getting this technique to work, and they don't mind the clean up as much as I do. If you want to try this technique, please do not let my dissatisfaction with the experience stop you! I've liked this challenge up until today. I've thought it was great! It was wonderful! It was challenging! It made me think outside the box! 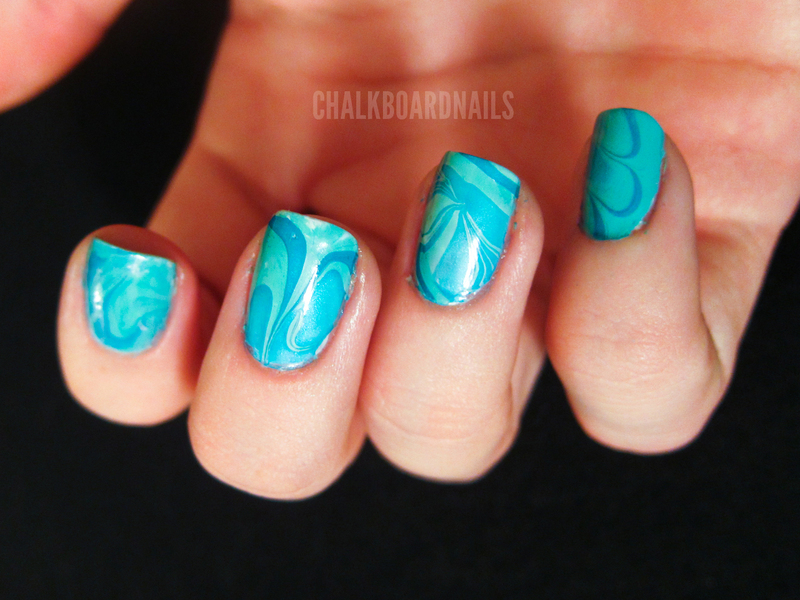 Today is water marble day. For those of you that aren't aware, water marbling involves dropping polish onto the surface of some water, swirling it around, dipping your nail in, removing the excess polish from the surface of the water, and pulling it back out. I've seen a bunch of tutorials on this technique, most of which make it look so easy. The results are truly beautiful. I was excited to try my hand at it (pun intended). I got my station all set up and my nails painted a good base white color. I started dropping polish on the surface of the water. The first few drops would spread out correctly, but once I got to the third drop or so, the polish would get too dry and stop spreading. This would not only prevent me from adding more polish, but would also make swirling the drops around to make the cool patterns impossible. Finally I got it to a point where I could get it to work well enough... I started dropping the polish (China Glaze For Audrey and Turned Up Turquoise) from a little bit higher. Don't do it too high though, or the polish will sink. UGH. It has been suggested that using a neon for this was part of my problem - maybe so. But I did try about a million other colors before this (cremes, shimmers, glitters, different brands, etc), and stuck with this because I could at least get it to marble a little bit. THEN, you get to clean up! Even if you use tape to block off most of your fingers or Vaseline to help you just wipe off the excess, your cuticles will still be MASSIVELY flooded with polish. Or, mine were at least. I had to spend pretty much equal amounts of time cleaning up as I did marbling! Even after spending all that time cleaning, you can still see that the neatness of my mani left a lot to be desired. I had to come up with something to complete this day of the challenge. But I was massively frustrated by this technique. Props to those of you that can make it work and enjoy it - you get to reap the benefits of a beautiful mani. Don't get me wrong - even my frustrated results are quite beautiful (from afar) and they have a huge wow factor. I just do not have the patience for it, and everything that it entails. I tried water marbling and couldn't get it to work. I didn't have the patience that you have to keep trying though. I just gave up. It was way to frustrating! Wow, since you've made it sound that way, I'm now afraid to try water marbling. But the end product does look gorgeous! Haha, I added a little note at the top of the post saying this, but I hope that my troubles with this technique don't discourage anyone that really wants to try this technique out! The experience is pretty hit or miss from what I have heard, and whatever you end up with is likely to be beautiful no matter what! Really it looks very pretty. I dislike water marbling ALSO. And dislike is putting it midly. I cheat and use a ziploc bag lol!!! Regardless your mani turned out great!!! 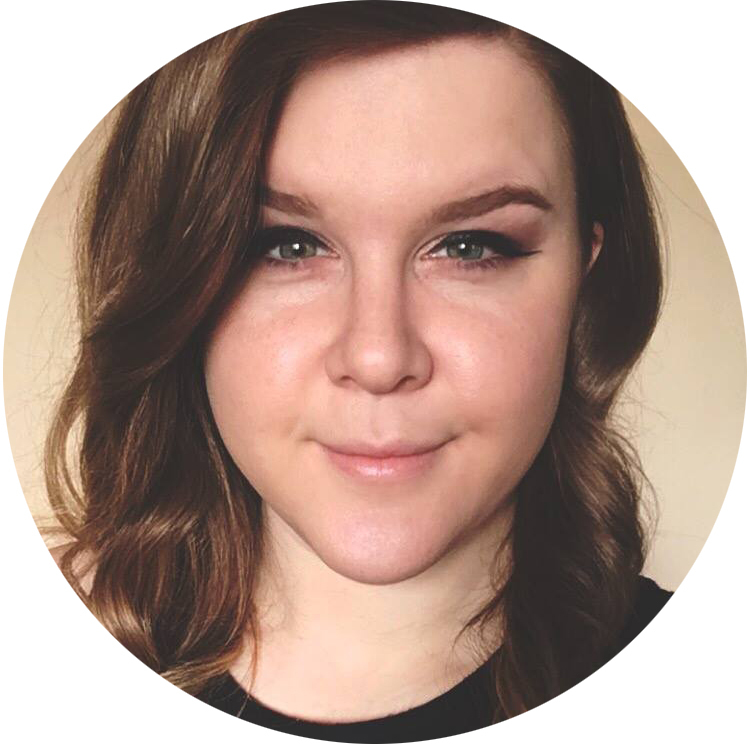 Thanks for all your hard work on this blog. I have learned a ton reading. I think it turned out great! I have had the same experience with water marbling. I don't think I have the patience for it. The tutorials make it look so easy, but I found it down right hard. Awesome! I tried this twice and failed! It is a lot of work too haha! I tried this and it looked terrible, and it's so time consuming! I don't know, it seems Colette uses holos and neons when water marbling with little trouble. I think that next time I do this, I will try the dry marble technique, it looks a little easier?? PS meant to say that even though you were frustrated, I think yours looks good! Water marbeling is definitely not easy to do! Are you cleaning up afterward using a brush and acetone? 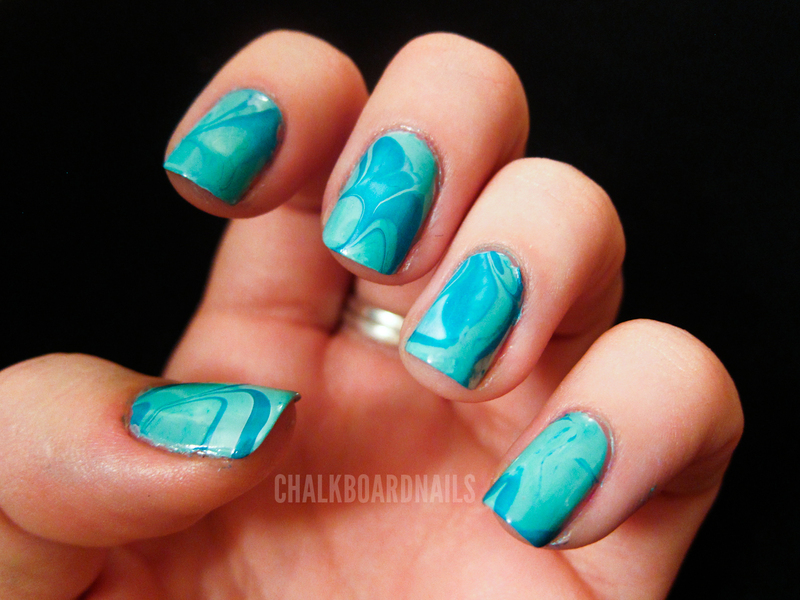 That's really the only way to go for water marbling, in my opinion. Then again, I'm lazy and kind of clumsy, so cleaning up using a cotton bud is just impossible for me! I just found your blog tonight thanks to Nicole, and OMG, your stuff is great!! Love it! Thanks for sharing your negative experience. I have also been unsuccessful at water marbling the times I've tried it, so it's nice to hear others admit that they have trouble with the technique also. The end result looks beautiful, though.